Parkinson’s Movement is an initiative of UK registered charity, The Cure Parkinson’s Trust (1111816). We promise to respect and keep safe any personal data you share with us. We aim to be clear when we collect your data what happens to it, how it is kept, used and how we use it. Parkinson’s Movement is part of The Cure Parkinson’s Trust so data collected through Parkinson’s Movement is kept and stored safely within The Cure Parkinson’s Trust database. Developing a better understanding of our supporters through personal data allows us make better research decisions, fundraise more efficiently and, ultimately, helps us to reach our goal of finding a cure for Parkinson’s. We are moving to an ‘opt-in only’ communication policy. This means that we will only send communications to those that have explicitly stated that they are happy for us to do so. You will only receive the communications you have selected on signing up to Parkinson’s Movement, or have requested at a later date. When you sign up to Parkinson’s Movement, there is an option to share your interest in Parkinson’s and this site. It is not compulsory to share this information, but it will help us to understand how we can create a site that will be valuable for you. The information you provide will also be stored within The Cure Parkinson’s Trust database system. 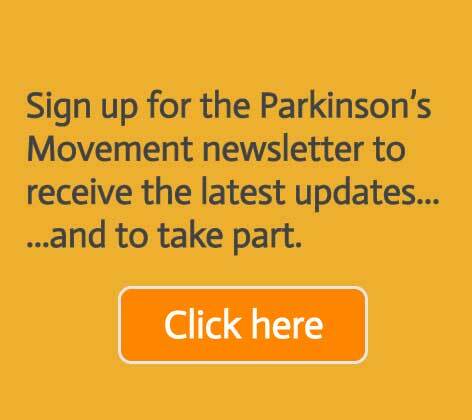 Parkinson’s Movement newsletters include information about latest research summaries, surveys, advocate activities and opportunities to take part in research. If you would like to receive such communications but have not opted in please contact us at advocacy@cureparkinsons.org.uk. If you opt in to receive newsletters from The Cure Parkinson’s Trust, this will include information about research breakthroughs, events and fundraising. You may give us your information in order to sign up for one of our events, share your experiences of advocacy in Parkinson’s, sign up to take part in research, complete surveys via Parkinson’s Movement or when you communicate directly with us. In addition, the type of device you are using to access our website and the settings on that device may provide information about your device, including what type of device it is, what operating system you are using, what your device settings are, and why a crash has happened. This information may be useful in ensuring our site remains accessible to all users. Your device manufacturer or operating system provider will have more details about what information your device makes available. Information relating to connection with Parkinson’s which might include information relating to your health, why you have decided to support us. We only want to know the answer if you are comfortable telling us personal details and information about your health. By providing information about your Parkinson’s, you are helping us in our work to find a cure and involve people with Parkinson’s in that process. Administer your donation or support your fundraising, including processing gift aid. With your prior consent, we may also need to use your personal information to detect and reduce fraud and credit risk. Only with your explicit consent will we contact you to let you know about the progress we are making and/or to ask for donations or other support. Occasionally, we may include information from partner organisations. Our forms have clear marketing preference questions and we ask you to opt-in to receive the information of your choice. If you don’t want to hear from us, or change your mind, please just let us know. We never sell or share personal details with third parties. But, if we run an event in partnership with another named organisation your details may need to be shared. We will be very clear what will happen to your data when you register. Some people choose to tell us about their experiences with Parkinson’s to help further our work. You may take on a role as an advocate, attend our patient focused events or sit on our committees. This may include you sharing sensitive information related to your health and family life in addition to your biographical and contact information. We monitor the types of people who are involved to ensure that the views we hear are representative of all people affected by Parkinson’s. Only where we have the explicit involvement and informed consent of the individuals, will this information may be made public by us at events, in materials promoting our campaigning and fundraising work, or in documents such as our annual report. Parkinson’s Movement hosts a forum via health forum specialist Health Unlocked. When you register, you will be asked to provide your email address and a username. We may contact you about administrative issues and changes to the forum. Using your username, you can post to the forum, and many posts contain sensitive information. We advise users to be careful not to post information which would allow them to be identified. We regularly run surveys as part of our work in Parkinson’s Movement. 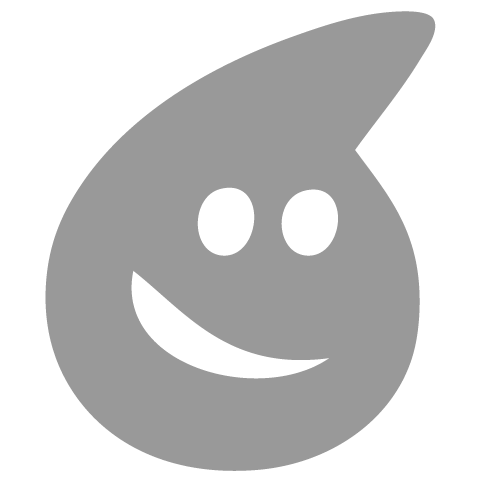 This is to uncover research clues. If you take part, we will ask you if you would like to receive the results of the survey and to do so you will be asked for your email address. All other data collected via these surveys is anonymised. If you have expressed an interest in taking part in clinical trials, we also ask you to complete a short survey which again seeks your contact permission and preferences and so we are able to notify you of any research opportunities. In exceptional circumstances and only with your explicit permission would we share your details for research purposes only and with legitimate interest. Parkinson’s Movement includes links to partner organisations outside the EEA. Nonetheless where these feature, you will need to provide information directly to these organisations separately through their own sign ups as we will not pass on your details. For example where you sign up to Fox Insight linked through our website, their data and privacy policies will apply to any data you give them. We may also collect and retain your information if you send feedback about our services or make a complaint. We are committed to ensuring that your information is secure. In order to prevent unauthorised access or disclosure, we have put in place suitable physical, electronic and managerial procedures to safeguard and secure the information we collect online. For example our online forms through our survey partner are always encrypted and our network is protected and routinely monitored. You have a right to ask us to stop using your personal data. You have a right to ask for a copy of the information we hold about you, although we may charge £10 to cover the costs involved. If there are any discrepancies in the information we provide, please let us know and we will correct them. If you want to access your information, please send a description of the information you want to see and proof of your identity by post to 120 Baker Street, London, W1U 6TU. We do not accept these requests by email so we can ensure that we only provide personal data to the right person. If you have any questions or would like to withdraw consent please send these to advocacy@cureparkinsons.org.uk, and for further information or to make a complaint see the Information Commissioner’s guidance here (link is external). NB: Parkinson’s Movement may change this policy from time to time by updating this page. You should check this page from time to time to ensure that you are happy with any changes.